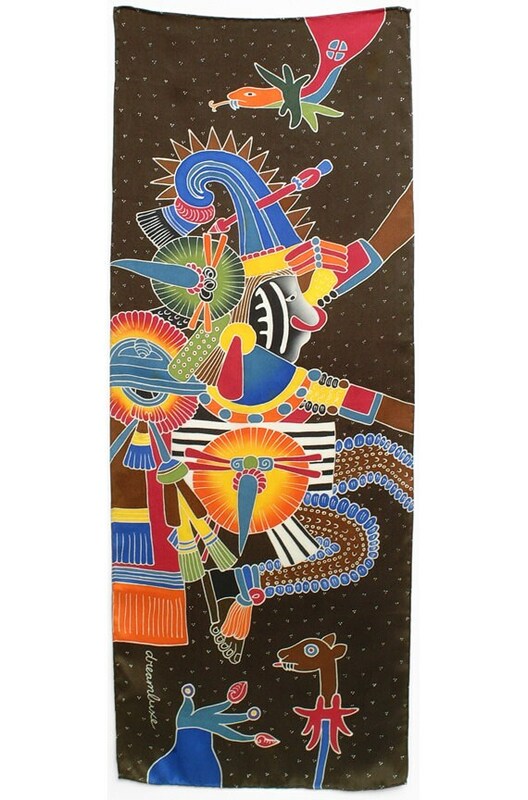 Unique hand painted silk scarf with a Aztec Snake Shaman. Beautifully painted in bright colors with lots of detail. Great boyfriend or girlfriend scarf. 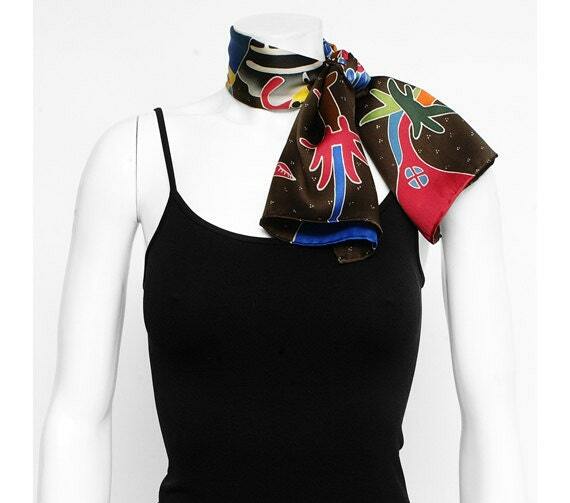 Makes a great head scarf! 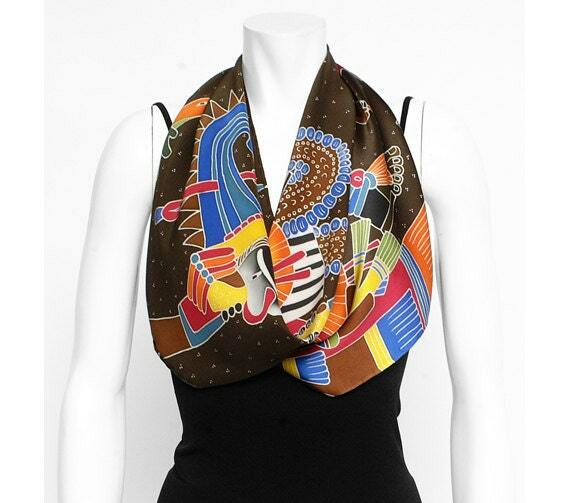 This magnificent hand painted silk shawl for men and women is handmade and painted on 100% natural silk fabric. 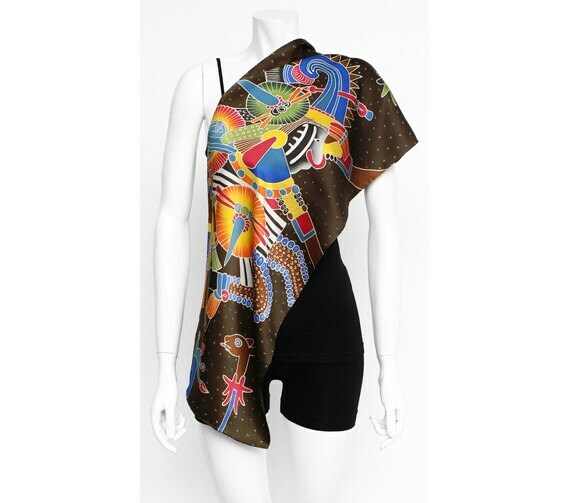 They are made of natural silk, one of the most exquisite and elegant fabrics. Made with love for men and women who care about handmade high quality and timeless pieces.